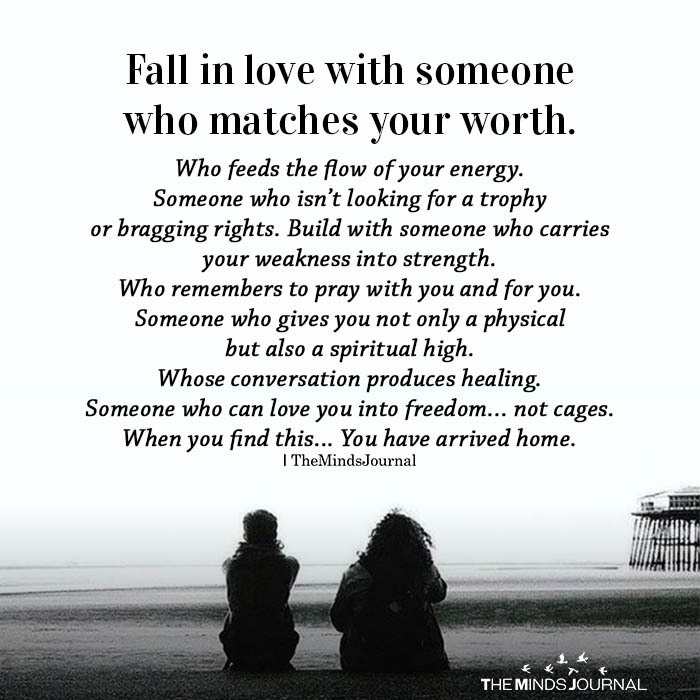 Fall in love with someone who matches your worth. Who feeds the flow of your energy. Someone who isn’t looking for a trophy or bragging rights. Build with someone who carries your weakness into a strength. Who remembers to pray with you and for you. Someone who gives you not only a physical but also a spiritual high. Whose conversation produces healing. Someone who can love you into freedom… not cages. When you find this… You have arrived home.